The Baghdad Chamber of Commerce announced on Saturday that Iraq signed a memorandum of understanding with Saudi Arabia, pointing out that the memorandum seeks to encourage the establishment of joint companies from the private sector between the two countries and supporting projects in them, and urged the authorities of the two countries to facilitate obtaining visas for businessmen. “Iraq signed a memorandum of understanding with Saudi Arabia to support traders and encourage bilateral trade between the two countries,” the Chamber said in a press statement read by the Economist News. 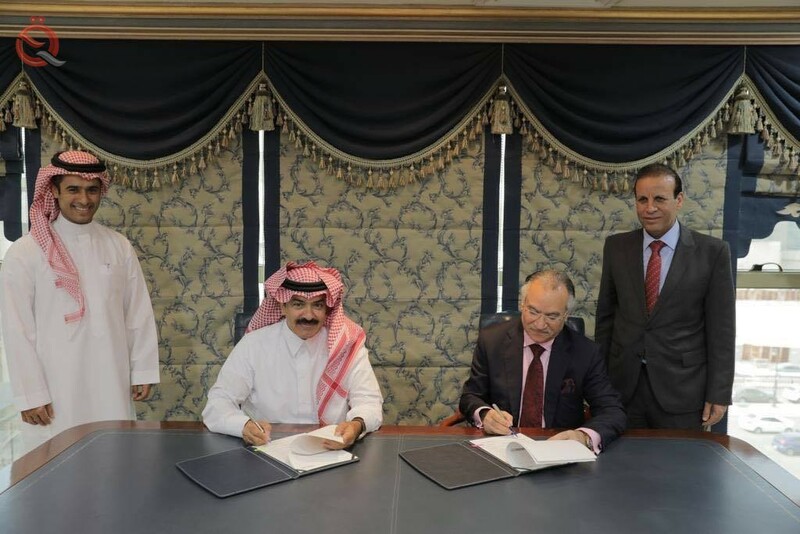 “The memorandum was signed by Iraq, head of the Baghdad Chamber of Commerce delegation to Saudi Arabia, Saleh al-Jubouri and Saudi Arabia President of the Riyadh Chamber of Commerce Ajlan Ajlan, in the presence of Iraq’s ambassador to Saudi Arabia Qahtan al-Janabi. “The memorandum of understanding represents a strategic framework that outlines the relationship between the Baghdad Chamber of Commerce and the Riyadh Chamber of Commerce, which will expand the horizons of cooperation and encourage bilateral trade between the two brotherly countries.” Forums and conferences, as well as conducting studies and economic research to fill the gaps in the laws of trade and economic and international standards.